Stick around after services for our buffet kiddush. During the summer months join us in our beautiful garden, in the winter we stay warm inside. 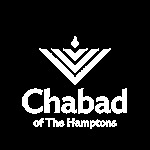 Our Kiddush is well known around East Hampton for delicious home made everything. From kugel to cake to salad, you won’t be disappointed if you stay. Our weekly Kiddush is sponsored by generous members of our community. Celebrate a loved one by sponsoring Kiddush in their honor. Our synagogue is open 24/7. Come and learn in our beautiful sanctuary. The Rabbi is available for one-on-one or group learning sessions.